The tranquil village of Inarajan, located in rural and picturesque southeastern Guam, is rich with Chamorro culture, history, and charm. Inarajan is home to several places of interest including the Gef Pa’go Chamorro Village, the ancient paintings of Chief Gadao’s Cave, the St. Joseph Catholic Church, and the George Flores Old Store and History Center, which resides in a historic building that was built in 1914. Attached to the history center is a hidden little gem known as the Hotnu Bakery. 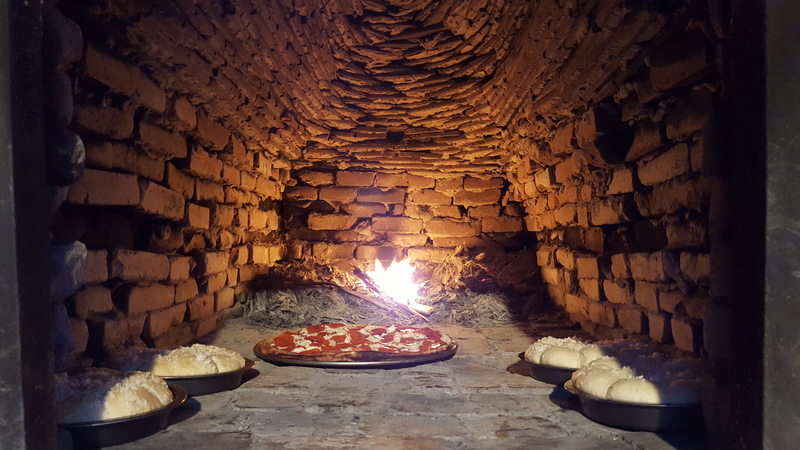 Opened in 2014, the Hotnu Bakery features a traditional-style Spanish brick oven that turns out fresh-baked pizzas and sweet breads three times a week. The fire in the oven is fueled by bamboo and takes about an hour to reach optimum temperature. From outside of the bakery, visitors can observe the bakers rotating and moving pizzas and bread in and out of the hotnu. The tiny bakery has built up a name for itself and locals are known to drive the length of the island - from Yigo to Inarajan - for Hotnu Bakery’s savory Chamorro-style pizzas, yummy cinnamon rolls and sweet coconut bread. The Hotnu Bakery is nestled on San Jose Avenue, a historic street in Inarajan that dates back to the founding of the village in 1680. Along San Jose Avenue are paintings on the doors and windows of buildings from the early 1900s that illustrate life on Guam in the 1950s. 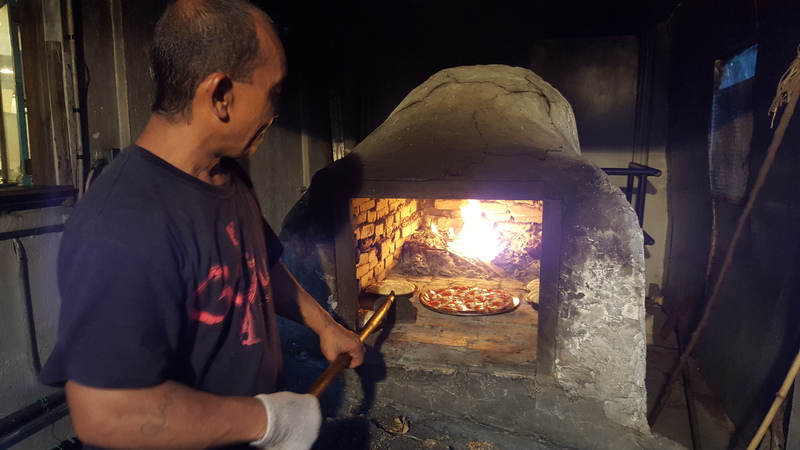 From Gef Pa’go Chamorro Village to San Jose Avenue, visitors can plan a morning or afternoon exploring and learning about Chamorro culture and history, capping the day with fresh baked pizza, local breads and refreshments from the Hotnu Bakery. The Hotnu Bakery is open Thursdays from 4pm to 8pm and Saturdays and Sundays from 8am to 2pm. Because the oven takes about an hour to fire up, the first orders are put in the oven an hour after the bakery opens. Advanced orders can be made by telephone at (671) 989-5340. As you stroll through southern Guam, visit the Hotnu Bakery in Inarajan for a delicious, off-the-beaten-path, Only On Guam experience.